In the field of medicine, there are many different types of professional roles. In nursing alone, there are a number of different types of nurses: Licensed Vocational Nurse, Licensed Practical Nurse, Registered Nurse, Travel Nurse, Nurse Practitioner, Intensive Care Unit Registered Nurse, Medical-Surgical Nurse, Emergency Room Nurse, Operating Room Nurse, Home Health Nurse, Nursing Assistant, and many others. Licensed vocational nurses are one of the most in-demand jobs as the baby boomer generation continues to age. So, what’s a licensed vocational nurse (LVN)? A vocational nurse is an entry-level healthcare provider who is responsible for the basics of nursing care. They become licensed after completing the educational program, and work under the guidance of a physician or a registered nurse (RN). Some experienced LVNs can oversee and direct other LVNs and unlicensed medical staff. Their duties vary depending on the facilities in which they work, but they typically monitor patients’ health—like taking their blood pressure, administer basic nursing care, like changing bandages and inserting catheters, care for the patient’s comfort, discuss health care with patients, report patients’ status to the supervising nurses and doctors, and keep the records on patients’ health up-to-date and accurate. To become an LVN, one must complete educational training, like a diploma or certificate program, and become licensed in the state that they want to work in. 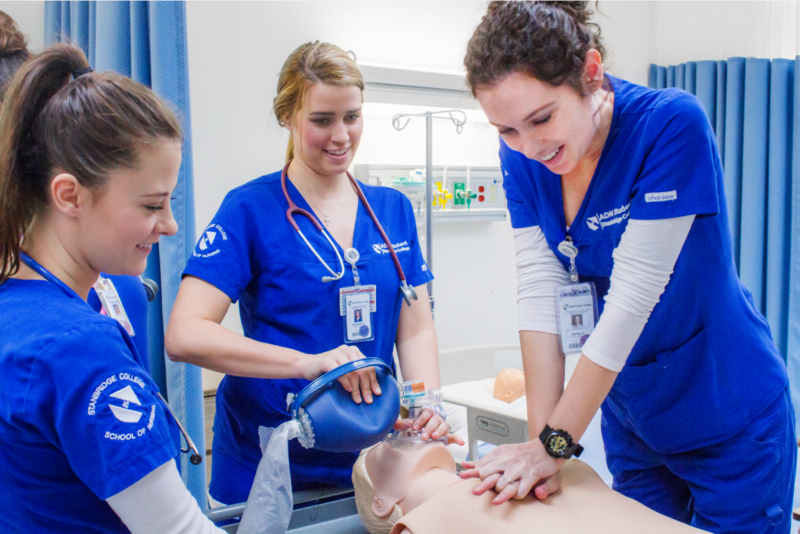 An accredited program for vocational nursing takes about one year of schooling and encompasses a wide variety of different courses and clinical skills in nursing, biology, pharmacology, nutrition, rehabilitation, pediatric nursing, leadership, and clinical applications. After completing an accredited program in nursing, a graduate must take and pass the National Council Licensure Examination for Practical (Vocational) Nursing to become licensed. To learn more about licensed vocational nurses, please visit: https://www.bls.gov and the http://www.bvnpt.ca.gov/.